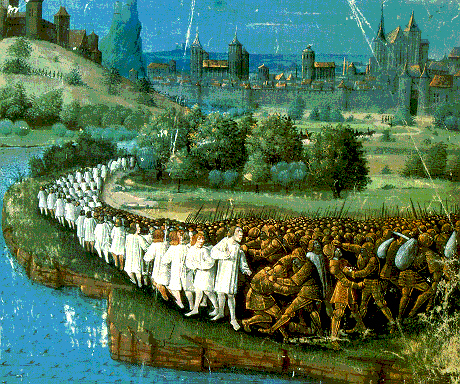 Where would you start in assessing the contemporary relevance of the Crusades? What were, in your opinion, its most important features and legacies? What is most surprising about the uses to which others put specific interpretations of the meanings of the Crusades? What are the possibilities and dangers involved in drawing parallels or direct connections between the past and the present? 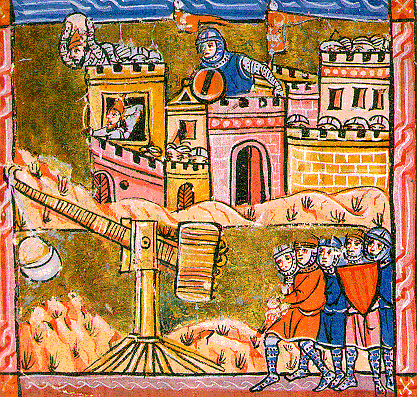 What was the history of Jews during the Crusades and what can a Jewish perspective offer us an understanding of this movement? 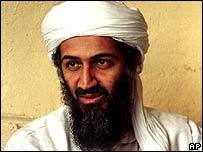 Osama Bin Laden at the beginning of the U.S.-led war in Afghanistan in 2001: "This war is similar to the previous crusades led by Richard the Lion-Heart, Barbarossa and Louis of France. In the present age [the Crusaders] rally behind Bush." How would you respond to Bin Laden's claim? How would you compare and contrast the war in Afghanistan and the American invasion of Iraq in 2003 with the Crusades? How would you compare and contrast Bin Laden himself with the Crusaders? What roles do the war in Afghanistan against the Soviets that began in 1979 and the First Gulf War play in the ideology and mythology of contemporary Islamism? What distinction is made between the "Near Enemy" and the "Far Enemy?" To what extent are any parallels with the Crusades appropriate here? How would you respond to those who argue that the Crusades offer evidence of the need to move beyond a religious world-view? Malise Ruthven, "'The Crusades -- The War For The Holy Land,' By Thomas Asbridge and 'Holy Warriors -- A Modern History Of The Crusades,' by Jonathan Phillips," Observer, January 3, 2010. "The Crusades: A History Of Conflict," BBC News, April 24, 2006. Joan Acocella, "Holy Smoke: What Were The Crusades Really About?," New Yorker (December 13, 2004). "The Children's Crusade: Fairly Holy Innocents," Economist (December 31, 2000). 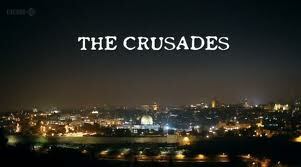 "The Crusades," BBC, 2012: Thomas Asbridge hosts this recent introduction to The Crusades. "Crusades," Episode 4, Christianity: A History, Channel 4, 2010:: War correspondent Rageh Omaar assesses the long-term effects of the Crusades as part of a British series surveying the history of Christianity. Timothy Renick, "'God's Battalions -- The Case For The Crusades'/ 'Fighting For The Cross -- Crusading To The Holy Land,'" Christian Century, 127 (August 24, 2010): 38-42. Jonathan Phillips, "The Call Of The Crusades," History Today, 59 (November 2009): 10-17. Daniel Lazare, "God's Willing Executioners," Nation, 283 (December 11, 2006): 44-49. Timothy Renick, "Crusader Zeal," Christian Century, 122 (January 25, 2005): 26-29. James Carroll, "The Bush Crusade," Nation, 279 (September 20, 2004): 14-22. 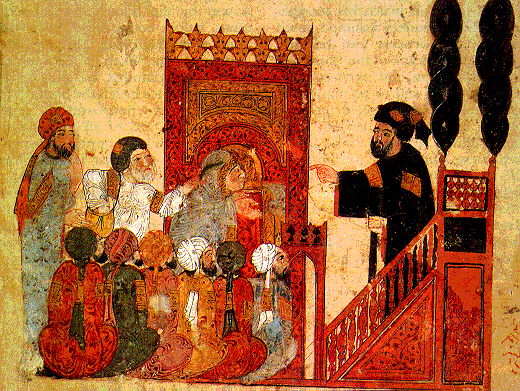 Pamela Berger, "Crusade And Jihad: The Wars Known As Holy," Religion And The Arts, 5 (December 2001): 484-494. Jonathan Phillips, "Who Were The First Crusaders?," History Today, 47 (March 1997). John France, "The Capture Of Jerusalem," History Today, 47 (April 1997). Robert Irwin, "Muslim Responses To The Crusades," History Today, 47 (April 1997). Peter Frankopan, "Op-Ed Contributor: Bankers At The Gates," New York Times, May 24, 2012. Peter Frankopan, "Go East, Young Knight," New York Times, February 18, 2012. Alan Travis, "Muslims Against Crusades To Be Banned From Midnight," Guardian, November 10, 2011. Jonathan Phillips, "Excerpt: 'Holy Warriors,'" New York Times, March 12, 2010. Eric Ormsby, "Butchers And Saints," New York Times, March 12, 2010. Malise Ruthven, "Review Of 'The Crusades: The War For The Holy Land' By Thomas Asbridge And 'Holy Warriors: A Modern History' By Jonathan Phillips," Observer, January 3, 2010. Judith Evans, "A Crusade For Truth," Guardian, February 4, 2009. Paul Rincon, "Crusaders 'Left Genetic Legacy,'" BBC News, March 27, 2008. Thomas Cahill, "The Peaceful Crusade," New York Times, December 25, 2006. "West Is On A Crusade -- Bin Laden," BBC News, April 23, 2006. Jonathan Marcus, "A Small Matter Of Crusader History," BBC History, May 13, 2005. 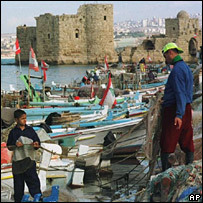 "Arab Critics Back Crusader Movie," BBC News, May 10, 2005. Manohla Dargis, "An Epic Bloodletting Empowered By Faith," New York Times, May 6, 2005. Alan Riding, "The Crusades As A Lesson In Harmony?," New York Times, April 24, 2005. 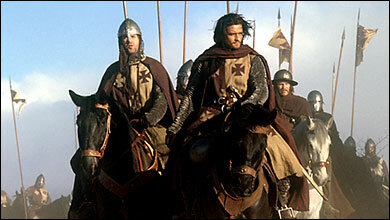 "Crusades Film 'Will Help Muslims,'" BBC News, April 8, 2005. Hugh Kennedy, "The Crusades As History, Not Metaphor," New York Times, April 3, 2005. 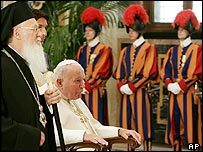 "Pope Sorrow Over Constantinople," BBC News, June 29, 2004. "Bin Laden Blasts Iraq Crusade," BBC News, December 20, 2003. 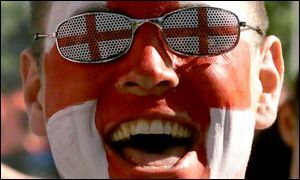 "Talking Point: Should We Mark St. George's Day," BBC News, April 24, 2002. Simon Pipe, "St. George Comes Under Fire," BBC News, April 21, 2002. "Bin Laden Rails Against Crusaders And UN," BBC News, November 3, 2001. John Julius Norwich, "Best Christian; Wayward Christian Soldiers," New York Times Magazine, April 18, 1999. Scott Redford, "Where Crusaders Camped In Turkey," New York Times, July 30, 1989. Robert D. Kaplan, "In The Footsteps Of The Crusaders In Northern Israel," New York Times, April 26, 1981. 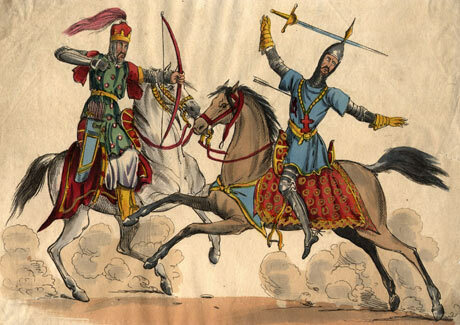 History Of The Crusades: An on-line course from Skip Knox at Boise State University. May not featur bells and whistles but offers an extremely thorough introduction to the topic. 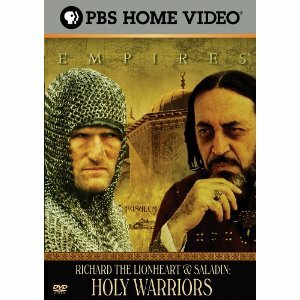 "Holy Warriors: Saladin And Richard The Lionheart," PBS, 2011. "The Crusades: Crescent And The Cross," History Channel, 2009: A major three-hour production. Part 1; Part 2. 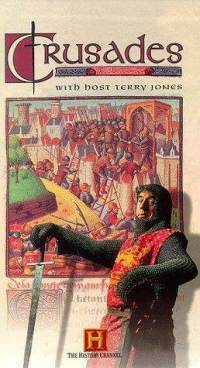 "The Crusades": Terry Jones's history of The Crusades. Episode 1; Episode 2; Episode 3; Episode 4. 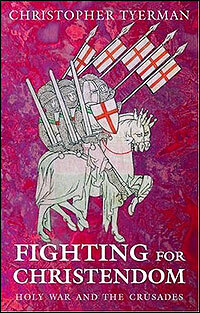 "A New Examination Of The Crusades," Weekend Edition Sunday, NPR, February 27, 2005. "The First Crusade," Talk Of The Nation, September 16, 2004: An interview with University of London historian and author Thomas Asbridge. 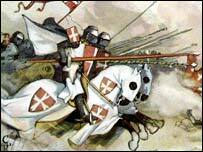 "The Crusades," The Long View, BBC Radio 4, October 22, 2002.